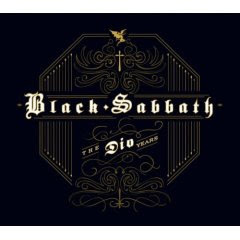 Hot on the heels of last month's Canadian tour, this release captures the best of Black Sabbath 's output when Ronnie James Dio fronted them, offering up a total of 16 tracks from three different decades. The older tracks are remastered and sound much clearer (e.g. Falling Off the Edge of the World and Turn Up the Night) and the live version of "Children of the Sea" is incredible, showing why anyone who dismisses Ronnie as a second-rate substitute for original lead singer Ozzy is either not paying attention or is about as likely to live in a state of reality as is the average Toronto Maple Leafs fan. The three new tracks are far from throwaways, either. A great introduction to some of the most criminally overlooked rock n' roll ever.